The Order passed by the Central Information Commission (CIC) against National Green Tribunal (NGT) on 23rd April 2014, exposes the use or misuse of luxury car allotted to NGT Chairperson for transporting goods on 16th October 2013, a government holiday being Eid. The car was seen parked in no-tolerance-zone outside jewelry-market of Dariba at ChandniChowk (Delhi). Besides seeking various other explanations, CIC has directed reply to related queries on affidavit by both NGT Chairperson and driver of the car, in its order..Important and interesting aspctes that emerge from the CIC-Order are that the expensive car allotted to NGT Chairperson was driven by an unskilled Multi-Tasking-Staffer (MTS) rather than a skilled driver. Also, no record was maintained for official car allotted to NGT Chairperson. It was also unclear if the driver was paid overtime or compensatory leave for his being called for duty on a government-holiday. 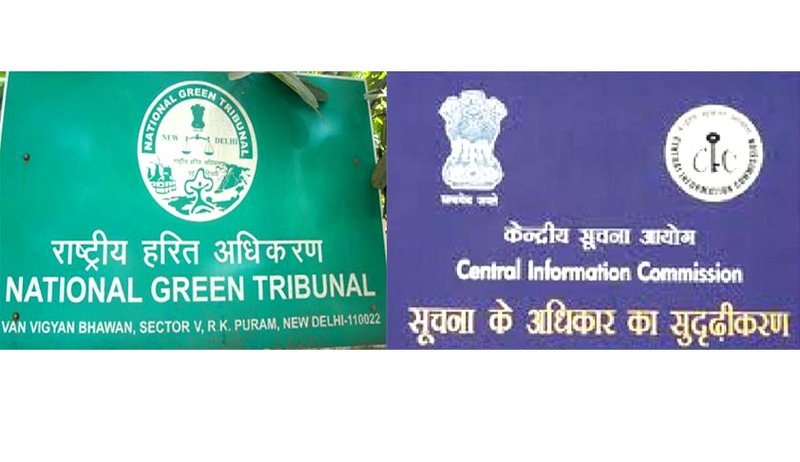 The Central Information Commission (CIC) in the case of Subhash Chandra Agarwal vs. National Green Tribunal, allowed the appeal filed by the Appellant and directed CPIO to go through the record of NGT and take aid of concerned officials and provide appropriate response to the original RTI application filed by the Appellant. CPIO was directed to reply to query No.7 to 10 by transferring to Supreme Court of India u/s 6(3) of RTI Act with a request that PIO directly reply to Appellant within the legal prescribed time limit. A second appeal was filed by the Appellant requesting the Commission to direct the PIO to provide information against points 11 to 15 instead of transferring them to Supreme Court along with other points. The surprising aspect was that responding Central Public Information Officer (CPIO) recorded on initial CIC-verdict on 2nd April 2014 that he himself was unsatisfied with his own reply. If the reply signed by CPIO was drafted by him or dictated by anyone else, there was the need of enquiry. In his order, the First Appellate Authority wrote about CPIO’s non-cooperation for hearing-proceedings exposing absolute absence of coordination in working at principle office of NGT in New Delhi. Seeking information against the eighteen points relating to car bearing no. DL-BC-BG-0009, which belonged to NGT, the Appellant filed a RTI application on 9th December 2013, with the PIO, NGT. In its reply the CPIO replied by providing point wise information. The Appellant sought information from the Central Public Information Officer National Green Tribunal along with related documents on aspects relating to car bearing registration-number DL-8C-BG-0009 belonging to National Green Tribunal as per RTI from the Supreme Court. The Appellant in its letter sought information regarding the name of the person to whom car bearing registratiol1-number DL-8C-BG-0009 was allotted at National Green Tribunal mentioning date of allotment and whether it was true that the car bearing registration-number DL-8C: BG-0009 earlier belonged to Supreme Court car-pool. Also, questions like name of person/s to whom car bearing registration number DL-8C-BG-0009 was allotted when it was under Supreme Court car-pool with respective date/s of allotment and the date on which the car was transferred to car-pool of National Green Tribunal. He also sought information on other items transferred from Supreme Court to National Green Tribunal. The Appellant also wanted to know when the Supreme Court sticker was issued for the car by Supreme Court mentioning also if the said car was under Supreme Court car-pool on date of issue of such car-sticker. Complete information about rules for Supreme Court car-stickers mentioning also if rules provided for surrender and/or destruction of Supreme Court car-stickers when cars were transferred from Supreme Court car-pool revealing information about Supreme Court car-sticker surrendered/destroyed on transfer of the car from Supreme Court was also sought. The Appellant sought several other questions like complete information on action taken to check violation of traffic-rules by cars of National Green Tribunal in future enclosing also copies of any such directives issued in this regard. The Additional Registrar & CPIO in its reply to the Appellant’s application filed under the Right to Information Act, 2005 stated that his letter petition was received and diarized against Dy. No.38381/SCI/PIL (E}/2013 on 22nd October 2013 and the samewas filed as per Orders of the Registrar being not covered under the PIL Guidelines. It was stated that since his letter petition had been filed, no further action would be taken on his letter petition. It was further stated that the query was possible in nature. However, for the purpose of entry of a vehicle in the Supreme Court premises, the sticker with SCI Logo was issued. Also, the car bearing Registration No.DL-8C-BG-0009 did not belonged to the pool of staff cars of Supreme Court. It was stated by the CPIO that the record showed that the car belonged to National Green Tribunal.